The Viper Red Dot's super-low mounting height makes it the perfect choice for handguns with cutout slides. 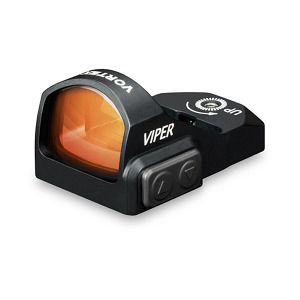 The Viper gives shooters the simplicity and speed advantage of a dot sight, while co-witnessing with suppressor height iron sights. The 6 MOA dot diameter gets shooters on target fast. The left-side up/down power and illumination controls are easy to access and manipulate. Recessed 1 MOA windage and elevation adjustments are protected from incidental contact, and always at the ready. 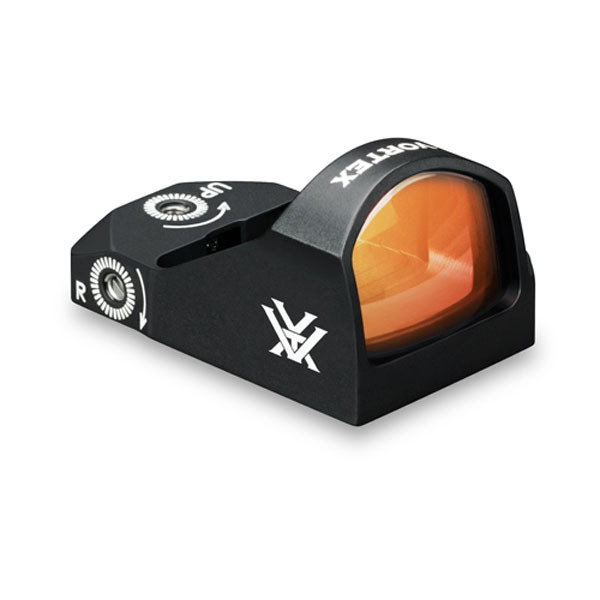 Features multi-coated lenses for increased light transmission, Armortek coated exterior lenses to protect from scratches and debris, waterproof and ultra-compact. Lifetime Transferable Warranty! Includes: Slip over sight cover, Picatinny mount, T-15 Torx wrench, (1) CR2032 battery.